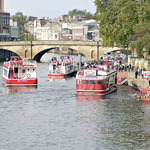 York boasts a rich historical legacy stretching back 2000 years to the time of the Romans. Visit York Minster, the largest Gothic church in Northern Europe, The Jorvik Viking Centre, walk the medieval city walls or shop in The Shambles. Castle Howard, just a short drive from York, is one of England’s grandest country houses. Beningbrough Hall is part of the National Portrait Gallery and houses over 100 paintings. Rievaulx Abbey and Fountains Abbey, both in magnificent settings, give a taste of the life of a medieval Cistercian monk. 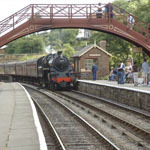 For those interested in more recent history try The Yorkshire Air Museum, Eden Camp or the National Railway Museum. Harlow Carr, the RHS garden in the north, is situated just outside Harrogate. Highlights there include the spectacular “Gardens through Time”. North Yorkshire boasts many more very beautiful gardens including Newby Hall, Constable Burton or Scampston Hall. 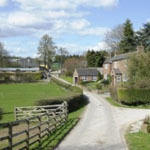 Nun Monkton is ideally situated in order to make the most of the various amenities available in and between York (11 miles – approx. 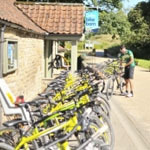 15 to 20 minutes) and Harrogate (14 miles – approx. 20 minutes). 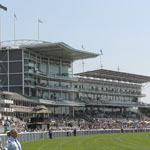 Just 7 miles from the barn there is a park and ride for York, which is inexpensive and offers a frequent service. York has many public tennis courts including those at the University of York. Poppleton Tennis Club has excellent coaches who welcome non-members. 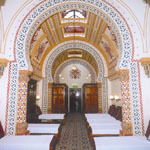 Aldwark Manor (6 miles) has a Gym, Spa and Health Centre which is open to non members or the glorious old Turkish Baths in Harrogate are well worth a visit. Atlantic Fitness on Clifton Moor near York also welcomes non-members. Yorkshire has a great equestrian tradition and boasts some very fine riding centres, including the internationally famous Yorkshire Riding Centre, for beginners or experts. There are numerous pony trekking centres in the Moors and Dales. 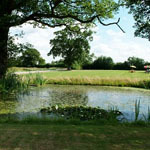 There are several “competition standard” fishing lakes within a ten minute drive of the village. Bring some boots and a map and after a short drive you can find yourself in the Dales or The North Yorkshire Moors in some of the best walking in the country. Guided walks can be arranged on request. 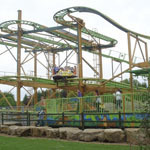 Lightwater Valley theme park near Ripon, Flamingo Land near Malton, Aerial Extreme, a tree top adventure course north of Ripon or just up the road, the York Megabowl, to mention just a few fun things to do.